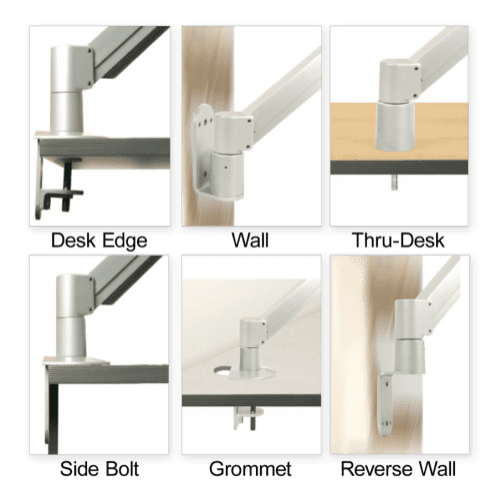 Create a quad monitor setup by suspending for flat panel monitors above the work surface (2-over-2) with the 9136-Switch-D-FM multi-monitor mount. 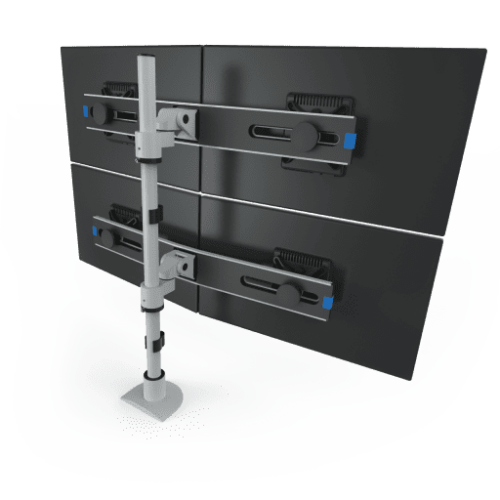 This Switch quad monitor pole mount suspends 4 flat panels, 2-over-2, above your work surface or on the wall. Save valuable workspace and reduce desktop clutter. 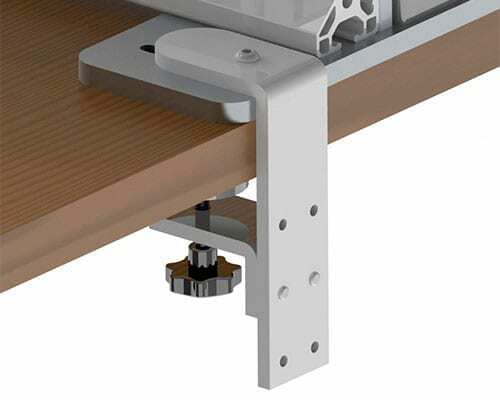 Our adjustable Switch bracket allows you to adjust monitors and also allows rotation. Includes our spring-assist monitor tilter for effortless motion. The Switch quad LCD monitor pole mount works with all VESA 75 & 100 mm VESA monitors. Are you looking to mount 8 flat panels (4-over-4)? Order quantity of 2, 9136-Switch-D-FM. 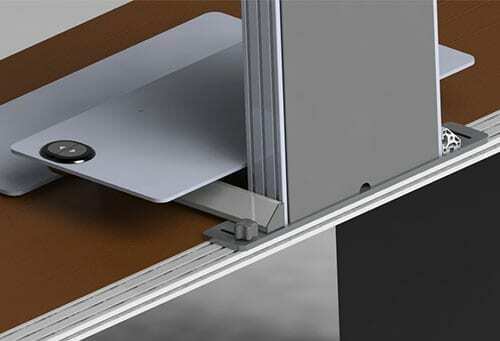 Quad LCD monitor pole mount enables pivot, tilt and rotation of monitors. This quad LCD monitor mount is VESA-monitor compatible - 75 & 100 mm VESA adapters included. Includes FLEXmount? 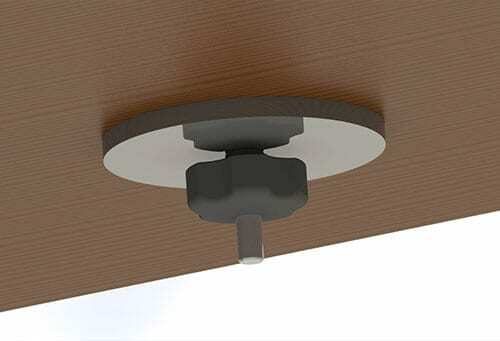 with six mounting options, including wall mount.